Leave your Tar Heel BLUE footprints with us! Welcome to Carolina! We’re so excited to have you join our University and even more excited for you to join our BLUE community. Find out more below about how you can get involved with BLUE and other entrepreneurial activities all around campus! Our BLUE community is apart of Carmichael Residence Hall. Comfortably situated at the heart of the University, Carmichael residents enjoy the convenient commute to classes and sports games while meeting other fellow Tar Heels. Only a few spots left for the 2019-2020 school year! Join our BLUE community by applying through the UNC MyHousing Portal today! Want to earn cash prizes for your entrepreneurial idea? Always dreamed what it’s like to pitch your idea in front of expert judges like Shark Tank? 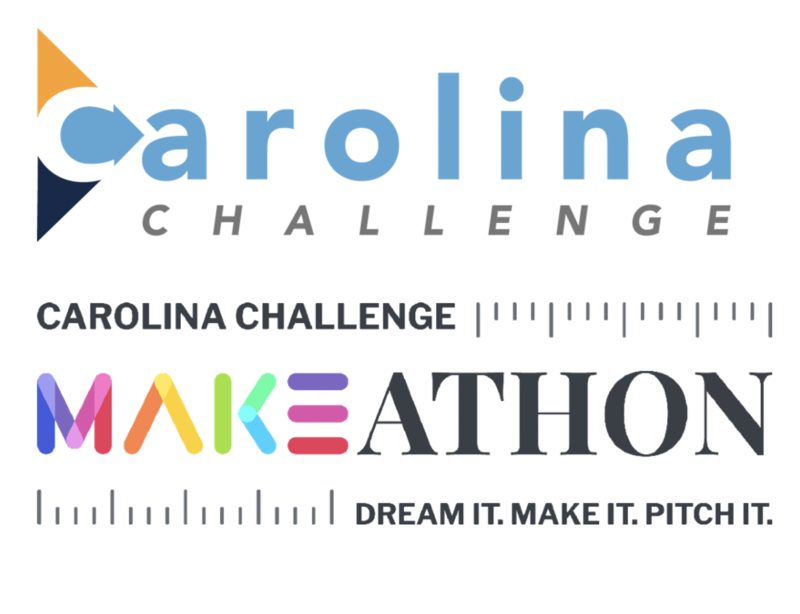 Come join us for the Carolina Challenge Pitch Party and Makeathon! The Carolina Challenge Pitch Party is the premier entrepreneurship event at UNC. Every year, dozens of teams pitch their ideas during the Fall semester to over 150 judges at our Pitch Party in hopes of winning prize money to fund their ventures. Moving into Spring semester, students can also participate in the Carolina Challenge Makeathon. UNC’s Week-Long Makeathon is a creative, cross-campus competition which accelerates innovative ideas into physical and digital prototypes that promote positive social impact. UNC Kenan-Flagler Business School Entrepreneurship Center, BLUE’s sponsor, boasts a comprehensive, hands-on and enduring entrepreneurial education anywhere through the unique Learn, Launch, Lead (L3) framework. To learn more about the Entrepreneurship curriculum here at UNC and how you can get more involved with our various programs, check out the Eship Center website today! Here at Carolina, we are committed to providing students an exemplary education and fruitful array of resources and opportunities. Check out CUBE, BeAM, Innovate Carolina, The Shuford Program in Entrepreneurship, and UNC App Lab for more information on these plentiful campus opportunities!